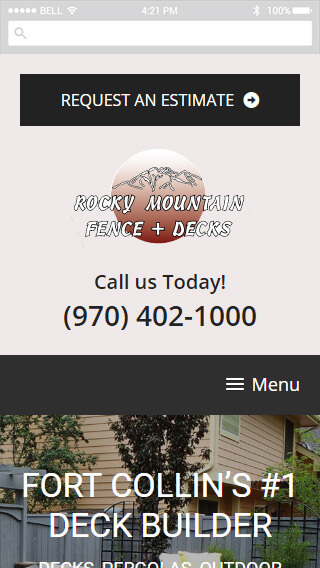 Red Kite worked with DaGama Web Studios to help Rocky Mountain Fence move from a proprietary website platform to a new WordPress site. The original site had little consistency in design among different site pages, and major issues with the mobile version of the site. Red Kite created a new, custom, mobile-friendly theme with simple navigation and consistent look-and-feel throughout the website. The new site includes lots of product line details, a photo gallery, a form for requesting an estimate and a general contact form. 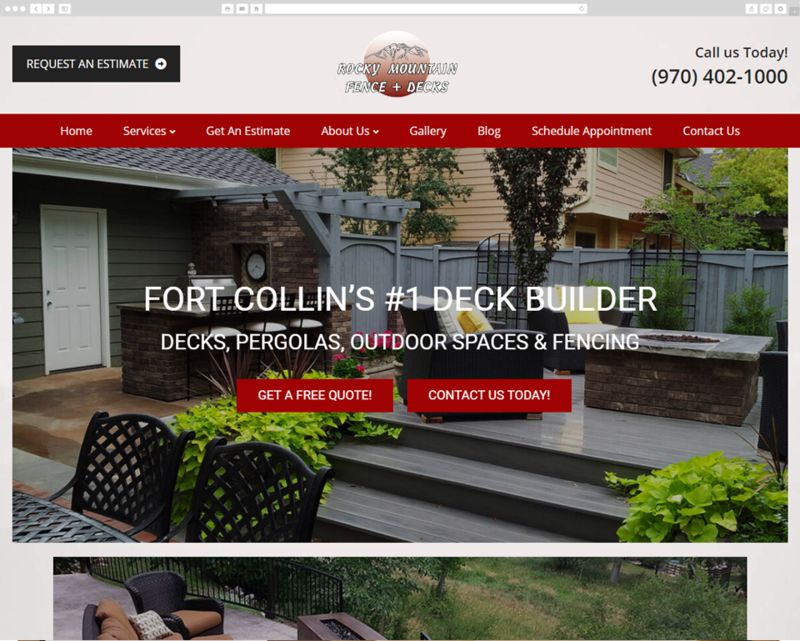 Our client, RockyMountainFence.com, wanted a more updated design and a more user-friendly website than his previous one. DaGama Web Studio collaborated with Red Kite to develop a website that would achieve those goals. The Estimate button for both mobile and desktop versions is attracting numerous daily leads, especially because folks can find our client in Google due to our SEO work. Red Kite and DaGama Web Studio collaborated to deliver another professional-looking and user-friendly website. Converting more users into becoming actual customers for our client was the main goal and is achieved on a daily basis. The ROI was delivered within days of launching the site and getting found in Google.